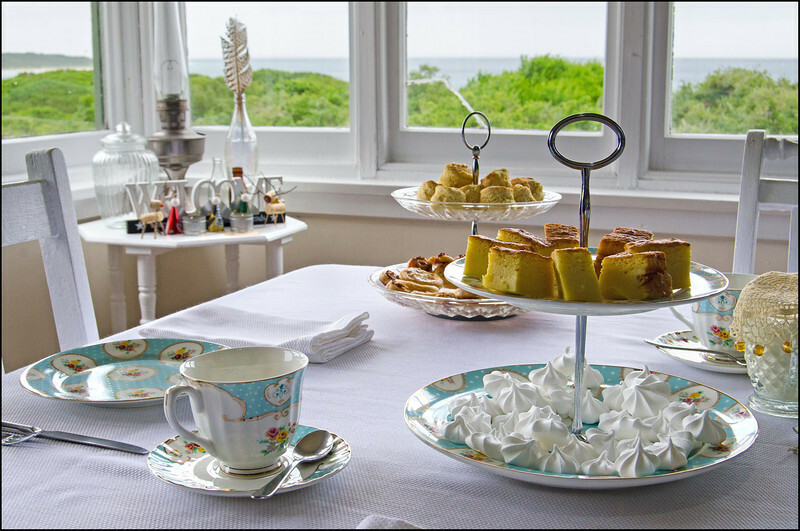 High tea on a deserted island? 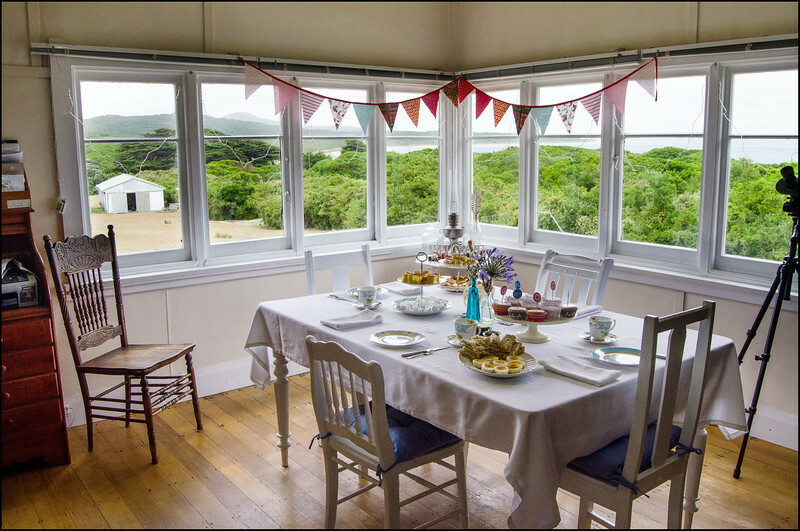 Yes, it IS possible – and the high tea on Three Hummock Island is one of the best you’ll find anywhere in Tasmania! We were a little sceptical when Bev made the offer. Scones perhaps? Maybe a little jam and cream if we’re lucky? Who knows, but we decided we might as well give it a shot. It was our second full day on the island and the weather had closed in. Drizzle occasionally interrupted by rain. Thin, tepid sunlight struggling to break through the brooding cloud. Such a turn around from the previous two days. We had spent the morning lounging around The Homestead, fire blazing, book in hand, waiting for John to drop by and give us the green light to walk up the hill to their humble abode (aka ‘The Lodge’!) 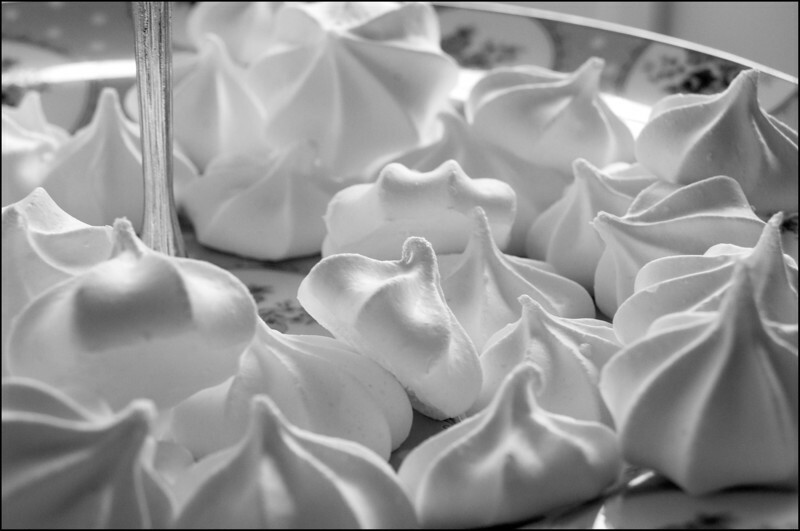 and partake in a pastry or three. Arriving just after lunch, we trundled up the hill behind The Homestead, noticing that even the kangaroos and Cape Barren geese had decided it was better huddled under a bush that to be out in this weather! 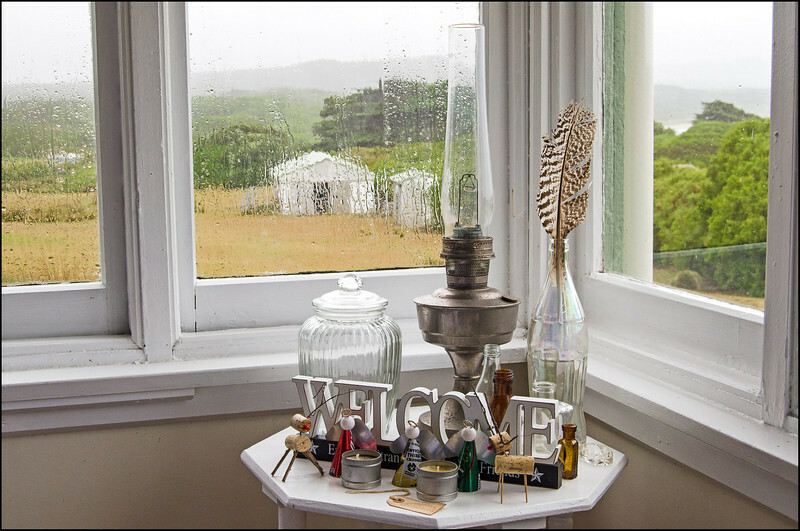 Leaving our sodden shoes on the front verandah, we stepped through the doorway…or was it down the rabbit hole? Surely we had just stepped into the Mad Hatter’s parlour and Alice was about to come waltzing in, grinning Cheshire cat perched on her shoulder…? The abrupt translation from dreary, windswept hillside to porcelain and crisp linen couldn’t have been more surreal! It really was like being transported to another world. 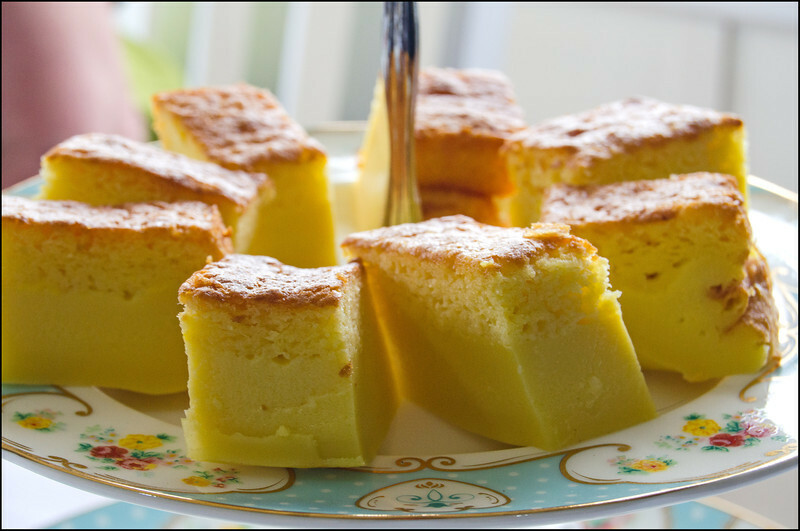 A world full of Christmas cheer and the smell of freshly baked cakes! Sitting down at their dining table we scanned the provisions laid out before us and struggled to keep our jaws from hitting the floor. The variety was phenomenal, the smells enticing and the number of dishes plentiful! Bev is quite obviously an exceptionally capable woman, but how was it physically possible for one person to produce so many different dishes, with such limited resources on an island on the edge of Bass Strait of all places?! The famous Triple Layer Cake! Delicious! The next couple of hours were spent, cup of tea in hand, chatting about life, travel, the island and all manner of other topics. John and Bev really are an astonishing couple. There’s no, “We’re gunna do this”, or, “We’re gunna do that”…they simply go out and do it!! Between the two of them they’ve been taxi drivers, worked at the Opera House, spent time as firies, taught at TAFE, sold showers, operated a newsagency, run a petrol station, crossed the Simpson desert as 4WD instructors, managed a bird observatory on the Great Australian Bight and most recently (obviously) are the keepers of a remote island of the rugged north west coast of Tasmania! What most impressed us though was their sense of companionship and obvious joy at being in each other’s company. As individuals they are by no means similar, yet together they are a force to be reckoned with. Fiercely independent in blazing their own bright trail through life, yet more than willing to slow down and take the time to enjoy the small things (including the odd pesky visitor to their island paradise). 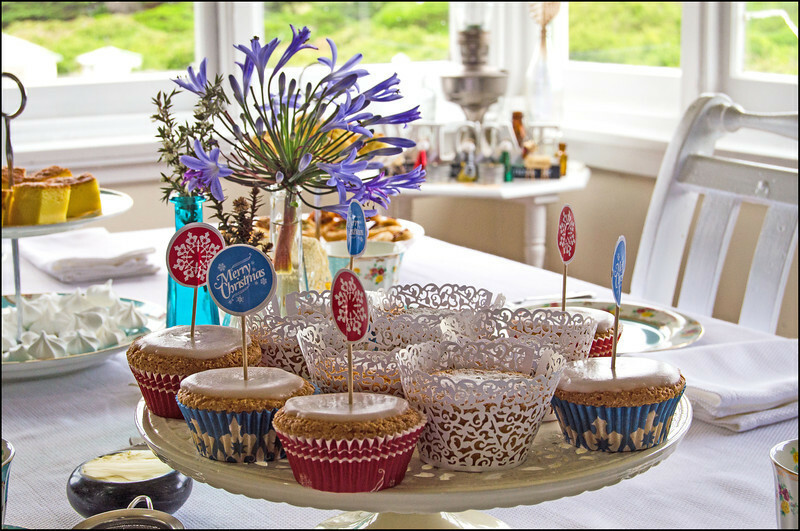 This really was High Tea with a difference. What an amazing experience! I would love to stumble upon that rabbit hole myself one day.